It’s strange, watching the landscape roll by without having to work for it. I write this from a bus, hurtling down a highway from Blacksburg to Roanoke, VA. I am borne passively along in a cushioned seat, my pack–constant companion of these last two months–occupying the spot next to me. I’m not using my muscles, and the views are spooling past much too fast. I have left the Appalachian Trail after 660 miles of foot travel. I have received the job offer I’ve been working towards for the last right years: a permanent position at Joshua Tree National Park with more responsibility and more room for creativity than I’ve had before. It’s a phenomenal opportunity, an offer I couldn’t refuse. I feel conflicted, of course. Accepting the job was the obvious right choice. The AT will be still be there when I am again ready for it. But that doesn’t change the fact that I have made the conscious decision to relinquish a long-held dream. Even though getting off the AT allows me to attain another goal I’ve been chasing for a long time, it is still bittersweet. I’m filled with questions. Will I be able to readjust to “normal life” (whatever that means)? My time on the trail reminded me of something I have long known: significant time active in the outdoors is crucial for my physical and mental wellbeing. Will I be able to stay active enough, get enough time outside, to avert the blues? How will I come to feel about the desert environment that is to be my new home? I’m eager to re-join the California Native Plant Society and get involved with the California Master Naturalist program. I think I’ll have to start training for a half-marathon, at least; it would be fun to do another full, too. Regardless of what the future holds for me, I am grateful to have had the chance to spend these past two months on the trail. In the woods, I have delighted in watching spring unfurl its leafy self across the land, rediscovered a deep sense of self, and seen many acts of kindness and caring from strangers. I may not have achieved my thruhiking goal, but the memories I have formed are ones I will always cherish. Thank you to all of you for being part of my journey. AHHHHHHH CONGRATS, CATHY! I don’t know what’s more impressive, that you got a permanent position or that you coordinated a new job from the trail. We’ll all have to wait for you to relish Katahdin, but whatever, I agree that this is worth the thru-hiker hiatus. So happy for you! 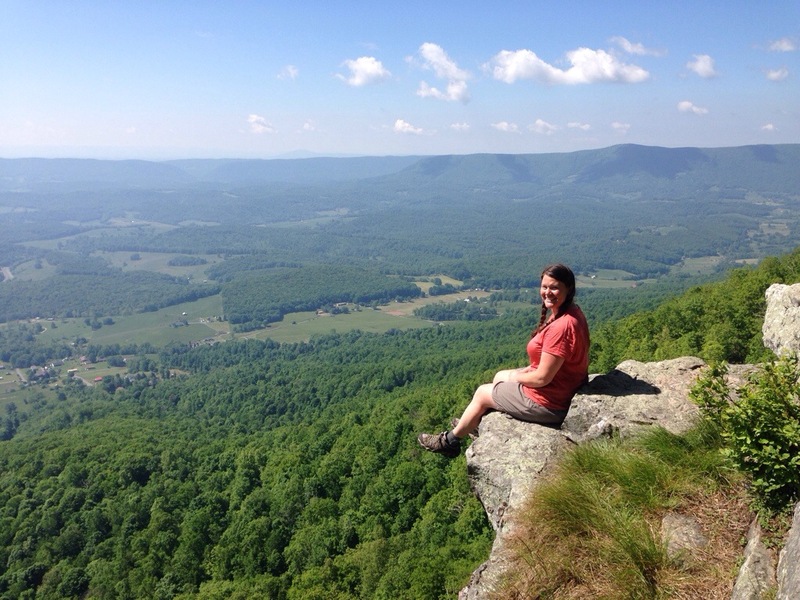 Cathy – without being on the trail and getting your taste of freedom you might not have realized that you CAN balance your job and your love for the outdoors. It’s all in the perspective of how, but you got it!! You HAVE achieved! Fantastic and congratulations, I assume they will give you winters off to come back and work here? We will have pie? Jolene and I are so happy for you, we have thoroughly enjoyed hiking along with you without our feet hurting, safe travels to your destination and don’t forget Yellowstone. Congratulations! Exciting times are ahead. I continue to look forward to your posts.